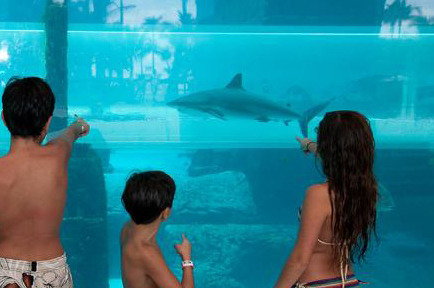 Family Fun In The Bahamas | UNIGLOBE Direct Travel Ltd.
5 Family Fun Ideas - Whatever piques their interest, know that you can find fun for the whole family in The Bahamas. 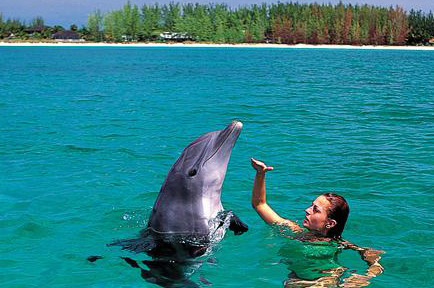 The Bahamas is a perfect playground for kids of all ages. 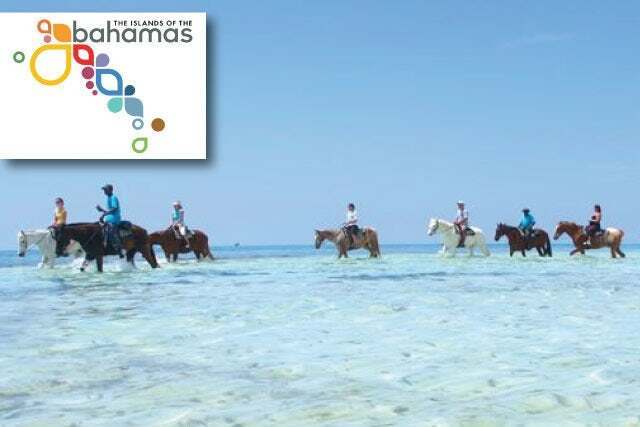 Throw on a saddle and trot up and down our pristine shores on horseback. Get down and dirty with a little sand volleyball. Go bowling at one of our many resorts. Or simply build a sand castle on the beach. Kids can even attend Kids Camp, where they’ll find a replica of a famous sunken Spanish galleon. 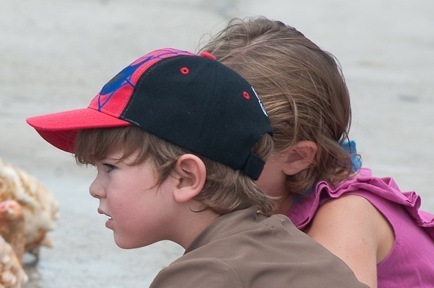 There are many fun-filled activities for the entire family that also offer learning opportunities. Visit the candy-striped lighthouse of Hope Town on Elbow Cay. Enjoy a stroll through the pastel-shaded gingerbread houses of picturesque New Plymouth on Green Turtle Cay. Or, visit with the historic shipbuilders of Man O’ War Cay. The Exumas have a number of cultural, heritage and historical attractions for families to explore. Natural reserves such as The Exuma Land & Sea Park—including Pasture and O’Brien’s Cay—Moriah Harbour Cay National Park, and Allan's Cay offer numerous educational opportunities. Eleuthera & Harbour Island offer a variety of family-friendly aqua-ventures including swimming in shallow waters, drift snorkeling, tubing, camping safaris, picnics on secluded beaches and even surfing lessons. Nature-based activities, the wide open spaces, a recreation center and a kid-friendly marketplace make Grand Bahama Island an ideal family vacation spot. There are interesting kids’ programs available at Grand Lucayan Resort and Viva Wyndham Fortuna Beach Resort (which also features a nightly stage show that kids love). You may also wish to spend your family vacation exploring the beautiful waters and fascinating marine life in waters surrounding the island. 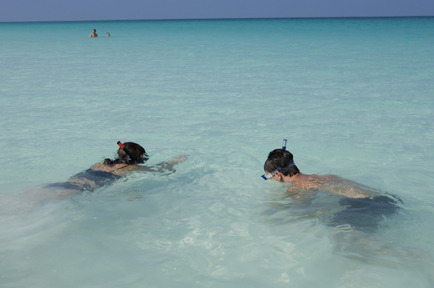 Nassau & Paradise Island offers fun on the water for kids of all ages. 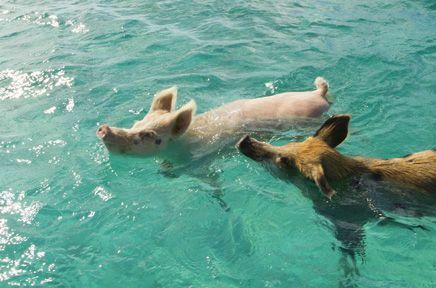 There are beautiful beaches to explore, numerous underwater delights to discover while snorkeling, boating excursions to Blackbeard's Cay, catamaran cruises and glass-bottom boat rides around the harbor, day sailing trips and a powerboat adventure to the beautiful Exuma Cays, plus interactions with dolphins at Atlantis and Blue Lagoon Island.